If you’re one of the many patiently waiting for Psychonauts 2 to be released, Double Fine has some very good news for you: today, the company has released Psychonauts in the Rhombus of Ruin for Steam VR, Oculus Rift, and HTC Vive. This interquel is meant to bridge the gap between the two main Psychonauts games, and will feature the original voice cast. When the rescue party itself is kidnapped and held prisoner in the Rhombus, Raz is immobilized and must use only his psychic powers to reunite his friends, reveal the identity of the mysterious kidnapper, and free Truman before the madness of the Rhombus consumes all their minds. 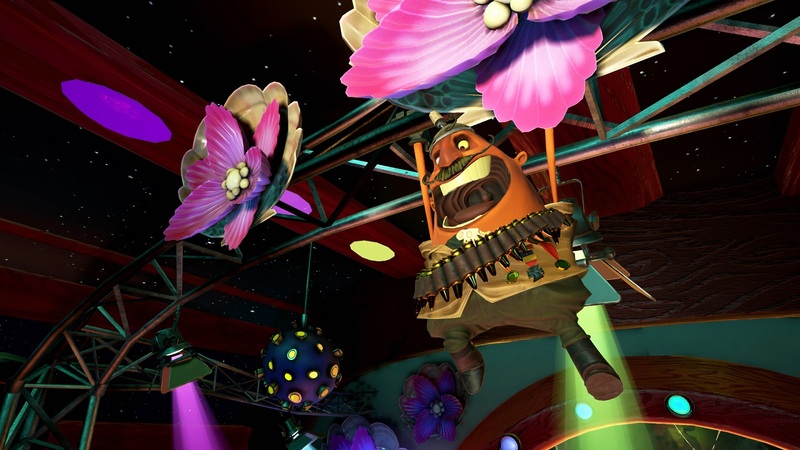 In the experience players will see through Raz’s eyes in first person, using his various psychic powers to affect the world, and solve puzzles. The power of Clairvoyance allows players to see through the eyes of others, and explore the environment, whilst other abilities such as Telekinesis and Pyrokinesis allow players to move things around with the power of their mind…or just set them on fire.